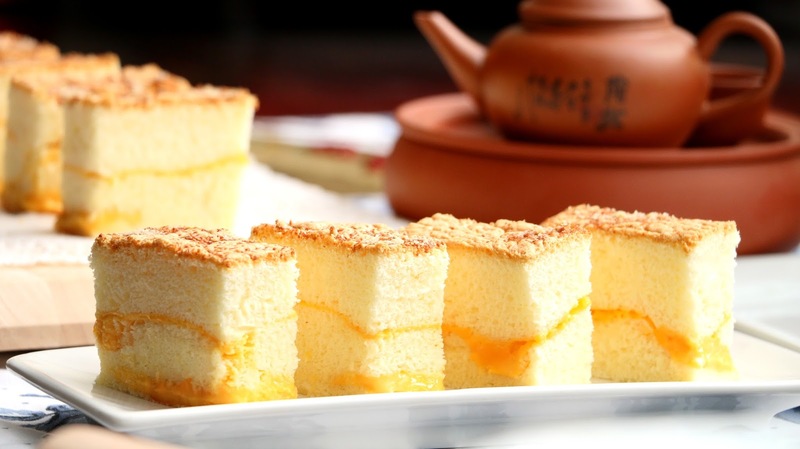 Here is my secret recipe how to make cotton sponge cake was published last year September. By far the tastiest homemade cotton cake ever! 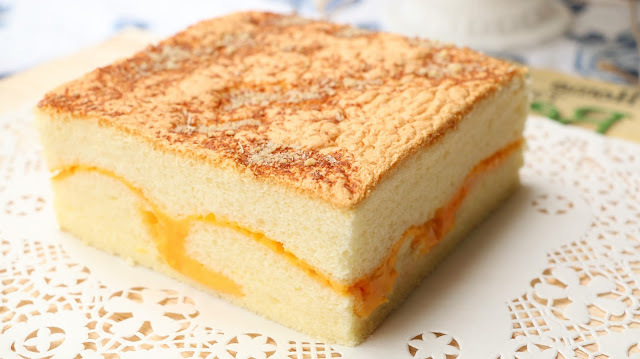 This is new, an improved version and recipe I had tried previously many times until satisfied, the taste of smell is closely related to Taiwan's famous castella cake with cheese. Follow my secret recipe and easy steps below and you are sure to wow and impress everyone. 1) Heat the butter or corn oil in a saucepan, over low heat. Add a pinch of sea salt, milk and sugar until it dissolves. Turn off the heat, sift the cake flour, add the egg yolks and mix by hand, less than 25 times until just combined. do not over mix! 2) In a separate bowl, Whisk (B) egg whites until foamy then squeezing a little lime or lemon juice and add sugar a little bit at a time, beating until stiff peaks, the peak stands straight up when the beaters are lifted from the mixture about 3-5 minutes. 3) Using a whisker, and turn the small amount of egg whites into the batter, mix until just combined and then turn back the batter into the whites, the most important part here is not to stirring and carefully folding is gentle mixing technique until just incorporated. 4) Pour cake batter into your prepared pans and add cheese slices and sprinkle grated parmesan cheese as a filling and over the top, then pour remaining batter into baking pan. Use a spatula and smooth the surface. Bang the cake pan a few times and get the air bubbles out of your cake batter. 5) To prepare a water bath. Pour enough cold water in a larger pan. Bake in preheated oven 130°c - 150°c for 1 hour or until the cake is set in the centre. Baking time it will depend on the size of your cake pan. 6) Once cooked, leave to cool 15-20 minutes, until the oven temperature reached 50ºC. Dropping the cake pan from high once. 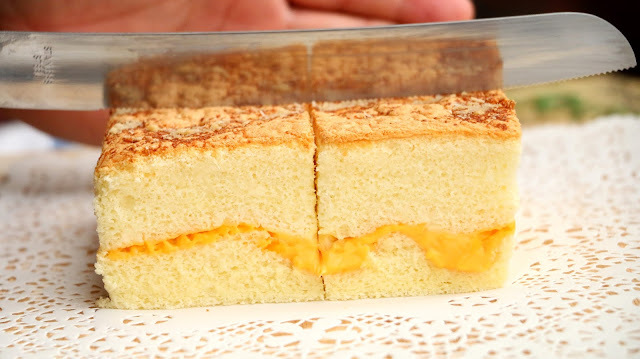 Make sure cakes are properly cooled before cutting them. 7) Dropping the cake pan from high once to prevent the cake to shrink too much during cooling. Make sure cakes are properly cooled before cutting them. 8) Transfer the cake to a plate for serving. Any leftover cake can be covered and kept in the fridge for 2-3 days. 2) It's recommended to use an oven thermometer.